Through this app you’ll be able to watch our E3 press conference live from the comfort of your couch (or hammock, if you’re really cool). Once we’ve announced everything at the press conference and the show floor opens on June 10th at 12pm PDT, you’ll be able to check out some screenshots and trailers of the games at our booth. 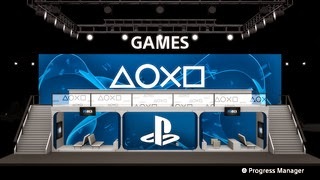 You’ll also see some other things we’ll be unveiling, and an overview of our current and future services, like PlayStation Plus andPlayStation Now. This app isn’t just for browsing though — you can also unlock some perks by using the app. 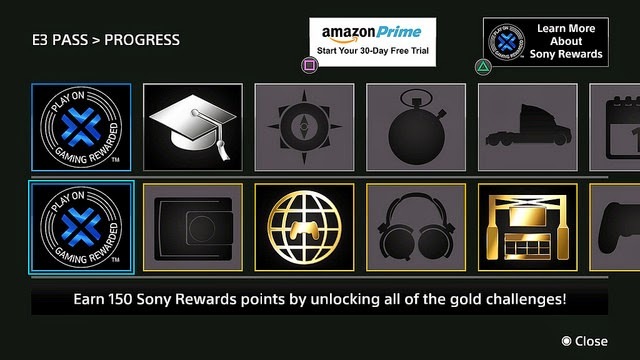 To start, there are gold and silver challenges you can complete in the app that will grant you up to 250 Sony Rewards points – these points will be available to unlock until June 24th. You can get other goodies through the app too, including an Amazon Prime 30-day trial and a Music Unlimited 30-day trial. For the early birds out there, during the show we’ll have 6,000 invites per day for the PlayStation Now Private Beta on PS4, starting June 10th at 12pm PDT. Make sure to log in early to secure your invite! 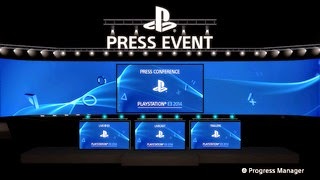 The E3 2014 app for PS4 is available now, so go download it to be ready to go for our press conference on June 9th at 5:45pm PDT.